The X-Men fight their way through a facsimile of Hell as depicted by Dante. The X-Men throw Nightcrawler a surprise birthday party, but when he opens a present from an unknown sender, it explodes and puts him in a coma. Unable to revive him via traditional methods, Professor X calls in Dr. Strange, who realizes that Nightcrawler's soul has been taken. Just then, a sorceress named Margali appears and summons a tentacled creature which pulls Dr. 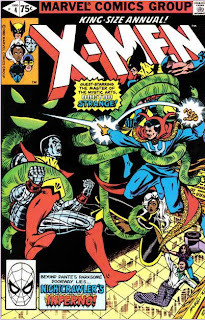 Strange and the X-Men into darkness. They awaken, along with Nightcrawler, outside a massive gate which Dr. Strange recognizes as the entrance to Hell. 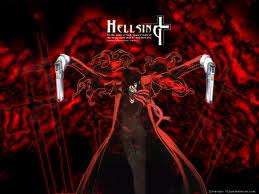 They enter and come before Minos, guardian of the gate of Hell. He tells the X-Men that Nightcrawler broke the rules laid out upstairs, and tosses him into a deep pit. Storm flies after him, and pulls Nightcrawler up far enough that he manages to teleport away, but Storm is attacked by Harpies and falls into the pit herself. "... on this day a million years ago, a dude was born who most of us think was magic. But others don’t, and that’s cool, but we’re probably right, amen." 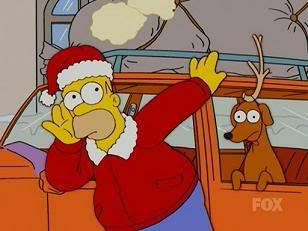 - Homer Simpson, "'Tis the Fifteenth Season"
On this day, may you be a double-bacon genius burger, and just a little bit drunk. A couple of quick housekeeping notes. There will be no "Last Week in TV" post next week; if TV can take a week off, so can I. The following week (the 6th), we'll take a look at all the new shows I've been watching (many of which I haven't been writing about consistently) and evaluate what shape they're at mid-season. Then the week after that (the 13th), we should be back with regular material, taking a look at returning shows (and likely playing catch-up on some old stuff as well). Moving into the second half of the season, my hope is that my schedule will even out a bit, and I should be able to cover shows in a more timely manner than I have thus far. We shall see (best laid plans and all that). Anyways, on with the Christmas! 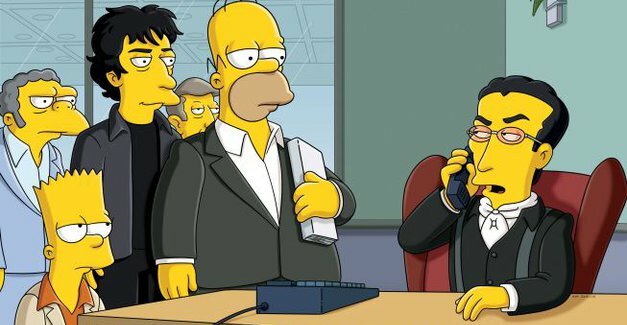 Not surprisingly, The Simpsons has, in its twenty-three season history, managed to create several subsets of episodes. 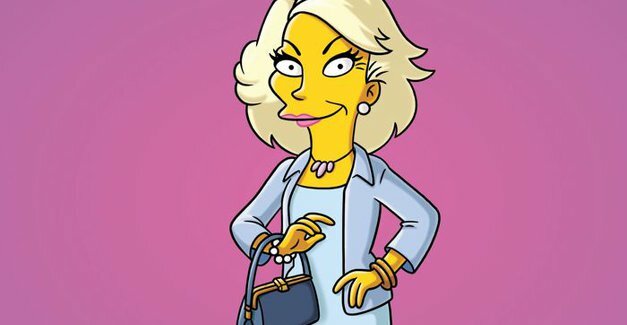 There's the annual "Treehouse of Horror" anthologies, of course, and the themed anthology episodes inspired by those (like "Simpsons Bible Stories" or "Simpsons Tall Tales"). Then there's the clip shows and the high concept episodes, like "22 Short Films About Springfield" and "Trilogy of Error". This episode falls into two subsets: Christmas episodes, and alt-future episodes. 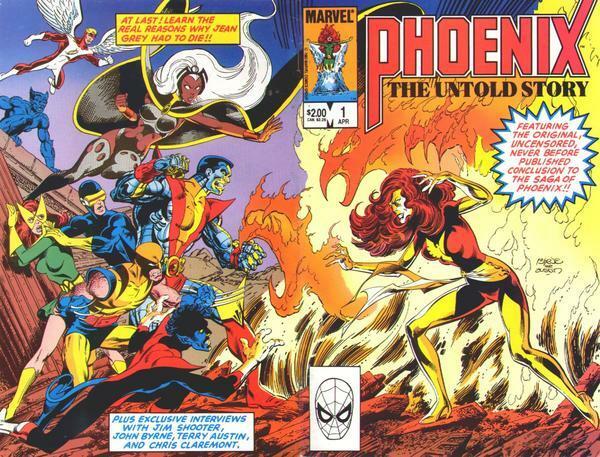 The original ending to "The Dark Phoenix Saga". 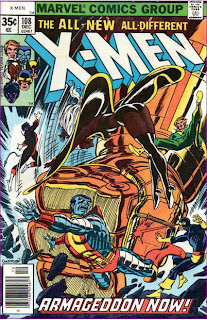 On the Blue Area of the moon, the X-Men engage the Shi'ar Imperial Guard in a duel for the fate of Jean Grey. The X-Men are quickly overwhelmed, leaving Cyclops and Jean to make a final stand against them, but they too are defeated. Aboard the Shi'ar ship, a gathering of the strongest telepaths from the Shi'ar Empire prepares to perform a psychic lobotomy in order to remove Jean's powers. 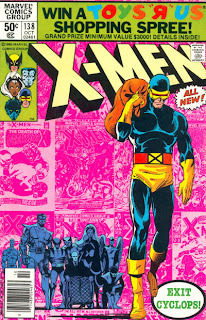 Wolverine protests, but Cyclops reminds him that the X-Men gave their word to honor the results of the duel. As the telepaths do their work, Cyclops can feel Jean's power slip away through their psychic rapport, an experience he describes as watching someone die while dying yourself. 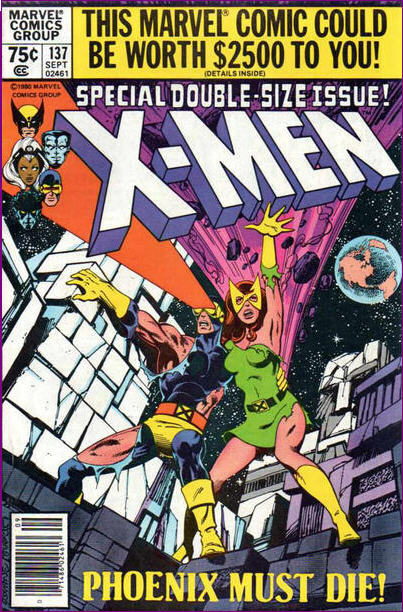 When the psychic surgery is over, Jean is unconscious but alive and powerless, and the defeated and bitter X-Men leave the Shi'ar ship. Meanwhile, from his home on the moon, the Watcher comments on the nobility of the X-Men and the potential in humanity symbolized by Phoenix, and expresses his belief that the future of humanity will be filled with promise and fulfilled potential. Yes, I'm back and I'm still ranking. I'm unsure how to begin these posts so we'll just get right to the ranking. Maybe I'll come up with a better introduction next time....but that would require me not to be lazy. As always, if you're unfamiliar with these posts, check out the introduction here. 45. 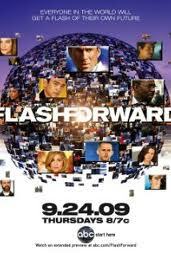 FlashForward: An intriguing premise. The entire world blacks out for 137 seconds and during this period they see a brief glimpse of their future. Naturally, global devastation occurs because of the blackouts and everyone's lives have changed because of what they saw. A quick catch up week. 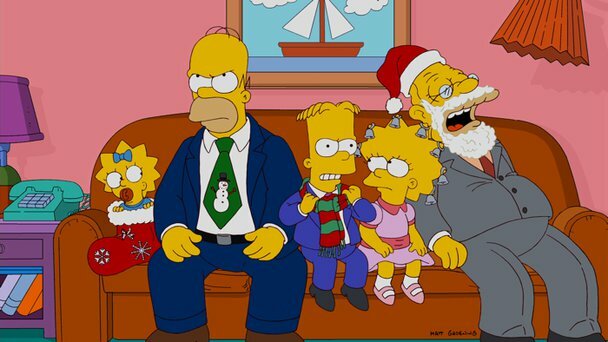 Next week we'll take a look at a bunch of different shows' Christmas episodes. 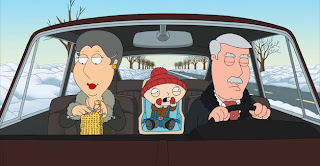 Another decent episode, with a fairly weak plot but some good cutaway gags (I say fairly weak not because it was bad, but because it hit pretty much all the expected beats, both plot and comedic, with a workmanlike drive). Carter has never been one of my favorite supporting characters, but this was a decent outing for him (plot-wise, I liked it better than the one where he was caught cheating and hit the singles scene with Peter), and the story wisely kept the focus on him. In terms of cutaways, I enjoyed the phone sax, Slightly Open Robery, and most of all, the pizza place making a salad, which was hilariously spot on in its attention to detail, a "funny cuz its true" gag. So that's about it. 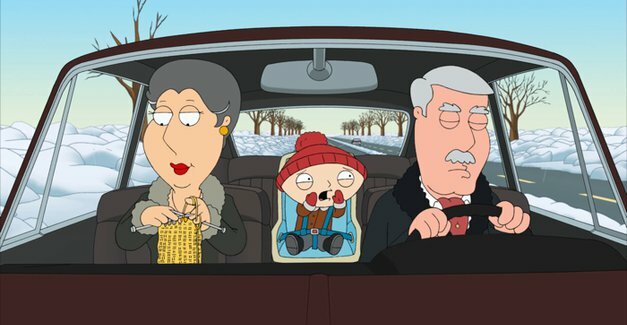 Nothing terribly compelling, but a largely amusing Family Guy episode nonetheless. At her funeral, Cyclops remembers his time with Jean. As the X-Men attend Jean Grey's funeral, Cyclops reminisces about his relationship with Jean and their time with the X-Men. Afterwards, Lilandra presents Jean's parents with a holoempathic crystal that carries within it an image of Jean and a recollection of her personality. Cyclops tells Professor X he's leaving the X-Men to think things through and get his head straight, though as the X-Men leave the cemetery, he vows not to crawl back into his emotional shell, as Jean wouldn't want that. Back at the mansion, a cab pulls up and drops off the school's newest student: Kitty Pryde. 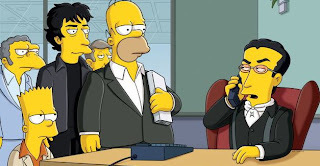 Maybe it's just because I recently re-watched it thanks to syndication, but this episode reminded me a lot of season nine's "The Last Temptation of Krust", in which Krusty realizes his comedy is outdated and reinvents himself as a modern observational comic before ultimately reverting to form in order to sell out (it also features Homer's "don't you hate pants?" line which has become part of my personal vernacular). 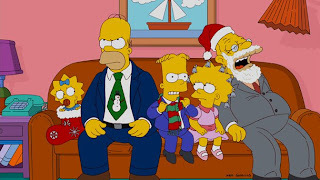 Now, to say that a latter day Simpsons episode is reminiscent of an earlier episode isn't exactly a cutting edge observation; the vast majority of recent episodes are a Frankenstein's Monster-like hodgepodge of old plots and gags stitched together to make something new, with a few original ideas occasionally thrown in (also, some of the "modern" comic sensibilities used to contrast Krusty's style in that season nine episode are almost just as comically outdated these days). 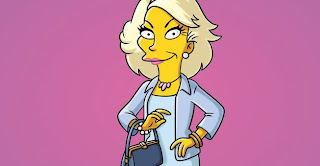 But the similarities between these two episodes, with Krusty finding himself out of touch with his audience, then proceeding to reinvent himself with an edgier act before ultimately deciding that his personal desires (be they woman or Canyonero) are more important that artistic integrity, seemed worth mentioning. "The Fate of the Phoenix!" It's all right there in the title. The X-Men suddenly find themselves on the cargo deck of a Shi'ar Imperial Dreadnought. Lilandra confronts them and explains that for her destruction of a Shi'ar warship and the planet D'bari, Phoenix must be destroyed. 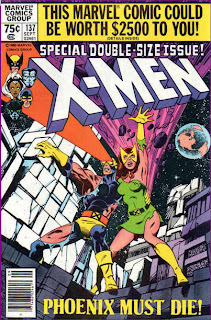 Cyclops insists that the power of Phoenix has been contained by Professor X, but Lilandra believes the risk too great. In response, Profess X issues an Arin'nn Haeler, a Shi'ar duel of honor, between the X-Men and the Imperial Guard for the life of Phoenix. Impressed with the knowledge of her culture he learned while living in Shi'ar space, Lilandra leaves to confer with her Kree and Skrull allies, and all agree that the X-Men will abide by the result of the duel, and to let it occur. That night, aboard the ship, each of the X-Men prepare for the coming battle in their own way, contemplating Jean's actions as Dark Phoenix. At dawn, Jean, dressed as Marvel Girl once more, approaches a brooding Cyclops. He insists that she is not evil, and that he loves her, and will stand by her, no matter what. Here it is, the long-awaited (??) return of "Last Week in TV". Look, I'll admit, between its send-up of the book industry and wanna be writers, the presence of Neil Gaiman and the references to slick con man films, this episode couldn't have fallen more in my wheelhouse, so I may be incapable of viewing it objectively, but I absolutely loved this episode.